Hard-to-find Brick Cottage in Downtown Area of Southern Pines! Unique property on Corner lot. 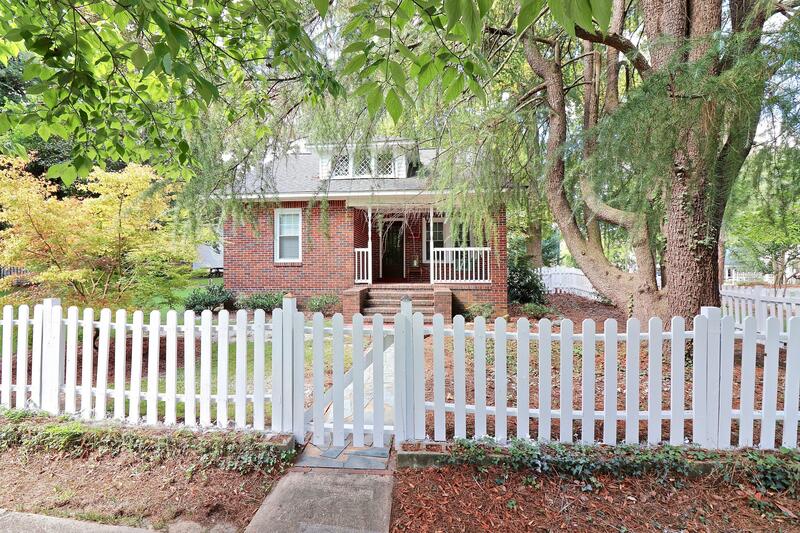 Charming picket fence surrounds yard and home. Main house offers 2 Bedrooms on first level with Full bath; a Living Room with Fireplace and Hardwood flooring; a Kitchen with tiled Countertops and wood Cabinetry. Upstairs there's a guest bedroom and another room for possibilities and ! Basement has a built-in workbench and washer/dryer. Bonus/Guest Qtrs.Area over entire 2 car garage, for the Homeowner who is looking for a separate Office; Workout; OR Studio Art Space! This Bonus area includes an Open Main Room floor plan complete with Eat-in Kitchenette, another Separate room and a Full bath. Extra large 2 car garage includes a small room plumbed and ready for bathroom. © 2019 Multiple Listing Service of the Mid Carolina Regional Association of REALTORS® All rights reserved. The data relating to real estate for sale on this web site comes in part from the Internet Data Exchange Program of the Mid Carolina Regional Association of REALTORS® MLS. Real estate listings held by brokerage firms other than Remax of the Pines are marked with the Internet Data Exchange logo or the Internet Data Exchange thumbnail logo and detailed information about them includes the name of the listing brokers. The broker providing these data believes them to be correct, but advises interested parties to confirm them before relying on them in a purchase decision. Information last updated on 2019-04-21.